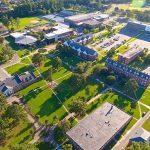 This image of the campus of Elizabeth City State University, shot from a drone, shows the ongoing improvements to the institution. The repair and renovation funding will serve to continue that work. The University of North Carolina System Board of Governors has approved the appropriation of $2.3 million for Elizabeth City State University, the largest allocation of repair and renovation funding for the institution in over a decade. During its July meeting in Chapel Hill Friday, July 27, the Board of Governors approved the funds for repair and renovation on the ECSU campus. Board of Governors Chairman Harry Smith has been working with ECSU as a member of the New Directions: Phase 2 Working Group, launched last fall. 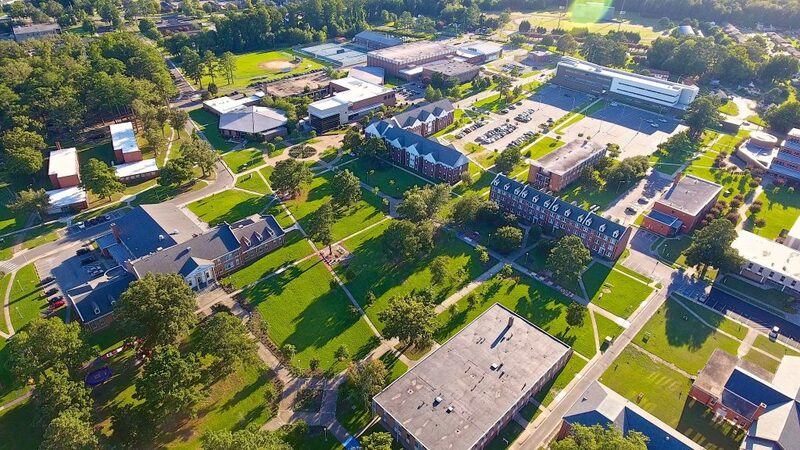 Smith, a Greenville-based businessman, has helped steer ECSU toward campus-wide improvements, including his support for renovations and repairs. Governor Darrell Allison also voiced his support for the appropriation and is excited that ECSU is receiving a level of funding it has not seen in over a decade. ECSU Board of Trustees member, and alum, Harold Barnes, attended the Board of Governors meeting. Barnes, who was a member of the Working Group, said he was excited about the governors’ commitment to ECSU. “In witnessing the Board of Governors’ approval of $2.3 million in Repair & Renovation funds, I want to thank the System office and the governors on behalf of Chairman Kim Brown and the ECSU Board of Trustees,” said Barnes. Dixon said the ECSU community is grateful for the confidence and support shown by the governors. “I would like to thank President (Margaret) Spellings, the UNC Board of Governors, and the ECSU Board of Trustees for their support,” said Dixon.